Daily Blog Posts Follow Us If You Like Knowing "What's Up" On The Upper West Side! A Great Foot In The Door! Lower Level 1,700 Sq. Ft. Ground Floor 1,960 Sq. Ft.
Lower Floor 1,690 Sq. Ft.
3. & 4. & 5.
with 3-4 workstations Shared Conference Room Receptionist Etc. We have small, medium and large offices to fit your needs and budget! What is a Classic Apartment? In New York City there are a few different "Classic" style apartments. even if it has been renovated it has been kept in its original configuration. With that said they are also very rare! The term ‘classic’ we know refers to a prewar apartment building and the number 6 is to the number of rooms. In other words, a classic six is a prewar apartment with six rooms: living room, formal dining room, kitchen, plus two full sized bedrooms, and a smaller third bedroom typically referred to as the maid's room. This is also one of the most sought after for families in terms of affordablity and size. Is the same as a Classic 6 only with an additional bedroom. Is the same as a Classic 6 only with 2 additional bedrooms. 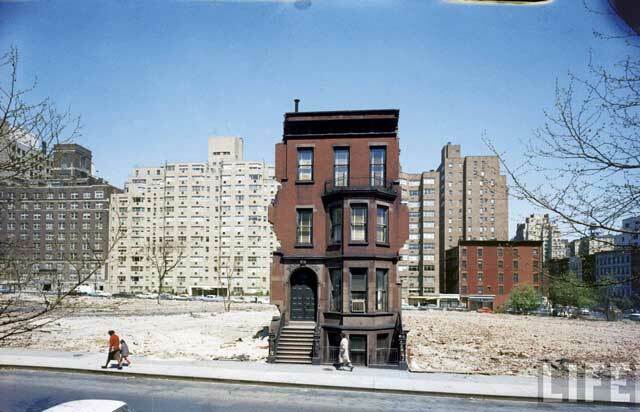 About five years ago we came across a striking photo of a brownstone on the Upper East Side... the last one standing, a field of rubble behind it. The photo, from the LIFE magazine archives, was accompanied by little information—the caption simply read: "Construction in NYC: land being cleared for 20 story building in East 60s—still occupied brownstone is soon to go." After a little digging we found out the photo, taken in 1959, was of a brownstone located at 215 East 68th Street, between 2nd and 3rd Avenues. Across the street where the numbers were even, there were 16 brownstones that got to stay—the NY Times once pointed out that they were "built as a piece in 1881 [by] developer John D. Crimmins—'No more than six of them will look alike, and no monotony will spoil the aspect of this new row of houses.'" While those have survived (to this day), back on the north side the brownstones were being leveled for a new development. The brownstone seen standing here was at one time the home of poet and writer Stephen Vincent Benet. Really Real Estate Signs ....What No Zombies? Views of Wal-Mart? Mice! Million Dollar Views....... to who... C. Douglas Mcmillon? Should we advertise everything we think? Sorry Ghost Busters Competition Is Tight! A 2 for 1 Deal! Who says real estate is stressful? This is funny for soooo many reasons!! This is not his first rodeo! Honestly...This is just plain stupid! Mama's Boy of the YEAR! 1. The subway you have to transfer to is chilling out across the platform when you get there. 2. You go to Duane Reade and they inform you your $5 coupon is ready. 4. Your bodega actually has that weird ingredient you need. 5. There’s no line at Chop’t. Or Chipotle. 6. You get to the subway just as the doors slam shut, and the conductor opens them to let you on. 7. …AND you get a seat! 8. Finding a Metrocard in your pocket that actually has money on it. 9. The Time Warner Cable man actually shows up for your appointment on time. 10. You move into a new apartment and the previous tenants left their window-unit air conditioner — INSTALLED. 11. You get cell phone reception underground for a brief shining moment, just long enough to send an important text. 12. Four words: LAUNDRY IN YOUR BUILDING. 22. The movie you wanted to see at Union Square at 8 p.m. on Saturday isn’t sold out. 13. Your bank’s ATM is the one in the bodega/drugstore. 14. No one gets in the elevator with you and you get to go express to your floor. 15. When your favorite restaurant is open on a holiday. 16. When you talk your visiting friends out of going to Times Square for New Year’s. It’s about success. Yours! A Career For Life. City Stop Realty is a "boutique" broker located in the heart of Manhattan's Upper West Side with over 10 years experience. Requirements Simply Put: You must have passion. It’s a hard business and it takes a lot of attention to detail and a commitment but the reward is Endless. You will earn more than a salary based job with less requirements and more freedom to be in control of what you are worth. What We Offer: We Offer More Rental Listings than Most Boutique Brokers, More Leads & Incredible Marketing Support. We will provide you with all the tools needed to be successful, the sky is the limit to what you can achieve. 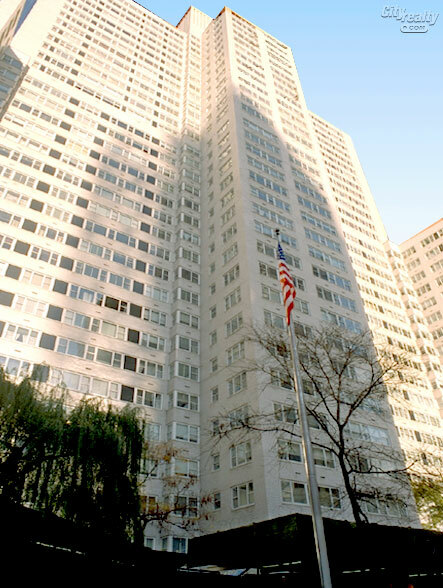 With over 10 years experience our broker has a long track record and has built close relationships with landlords, management companies and the city's top real estate firms, which is why are are among the dominate in the upper west side rental market. We are expanding and this is a limited time opportunity as we are only hiring a select group of the most talented individuals at this time. From All Of Us At City Stop Realty Thank You For Your Business And Referrals! This summer a multibillion dollar plan will finally get underway to brighten up the dank rail station and better accommodate the 600,000 people that pass through it each day. But it'll be a while before the much-maligned space looks fresh and tidy. Madison Square Garden, which sits on top of the transit hub, renewed its permit to occupy the space earlier this year. But MSG's previous 50-year permit was renewed for only 10, setting up a dispute between the City Council and MSG's owners, who are facing mounting pressure to relocate. The 1,776-foot Freedom Tower is slated for completion in early 2014, but construction on the surrounding skyscrapers, a performing arts center and a transportation hub are ongoing. After more than a decade of controversy -- including scrapped Olympic and Jets stadium plans -- developers have crafted an ambitious plan to convert 26 acres of rail facilities into the largest private real estate development in city history. Hudson Yards is “a $15 billion 15-structure mini-city on Manhattan’s West Side that will create more office space than exists in Portland, Ore.,” according to the New York Daily News. 4. 5 Pointz ... Luxury Apartments? Potentially the most legendary street art landmark in the world, Long Island City's 5 Pointz is set to be torn down in favor of a luxury high-rise. This controversial plan has inflamed the NYC arts community (and anyone with a soul), and a legal battle is ongoing. "Like a giant strainer dropped in the river," + POOL aspires to filter dirty East River water and create a 285,000 gallon floating swimming pool between Manhattan and Brooklyn. The team raised over $270,000 to build a prototype -- a 35' x 35' float lab -- and aims for the + POOL to open in the summer of 2016, although they admit that permitting and approvals may delay this futuristic project. This project was stalled by the recession, but has recently surged back into development thanks to a $1 billion financing package from Asian investors. Tower Verre, as it’s known, will house 145 luxury condos and provide 36,000 square feet of new gallery space for the Museum of Modern Art. It's slated for completion in 2018 with an ultimate price tag of $1.3 billion. Taking a cue from the Westside’s massively successful Highline Park, Queens plans to convert its own stretch of abandoned railway tracks into an elevated park. Currently, two design firms are conducting a feasibility study. In 2008, Mayor Bloomberg launched an array of projects in the South Bronx, collectively labeled the South Bronx Initiative Plan. From making the waterfront more accessible to building more affordable housing, the projects are focused on 3rd Avenue, the Bronx Civic Center and the Lower Grand Concourse. The Whitney Museum of American Art is relocating from the Upper East Side to the Meatpacking District. The new museum's construction cost $422 million and is slated for completion in 2015. Cornell University is building a $2 billion mega-campus on Roosevelt Island, which sits just east of midtown Manhattan. The architects predict that the main building will produce as much energy as it consumes, and that the project will be completed by 2037. SLO Architecture has proposed renovations to the abandoned Westchester Avenue Station in the South Bronx. Amtrak, whose Northeast Corridor runs by the site, wants to demolish the 100-plus-year-old building, but the designers seek to create a beautified waterfront and an entrance to Concrete Plant Park. In September, Mayor Michael Bloomberg announced a $1.1 billion plan to renovate the Essex Street Market and the surrounding streets in the Lower East Side. The project will include a “virtually unprecedented amount of affordable housing in a development of this scale,” according to the Wall Street Journal. In 1977, Brooklyn's largest indoor theater closed its doors and fell into a state of disrepair. The mayor's office and its partners have pumped in $93.9 million to revitalize the Flatbush landmark. The theater is scheduled to open in 2014. One part beautification, one part storm protection, the Blueway will revitalize Manhattan's East River shoreline stretching from the Brooklyn Bridge to East 38th Street. The plan does not yet have a budget or timeline. The world’s largest ferris wheel will come to Staten Island in 2016. At 625 feet, the New York Wheel is predicted to draw millions of visitors to the borough. How do you add green space to an overly congested city like New York? For two ambitious entrepreneurs, the answer was "beneath our feet." After a successful Kickstarter campaign, the LowLine's creators are working with the MTA and the city to convert an abandoned, underground trolley station into a state-of-the-art, solar-panel-illuminated, $55 million park. The goal is to open by 2018. The corporate takeover of Williamsburg has entered its final phase, with national retailers like Whole Foods, Urban Outfitters and J.Crew all staking out claims in the capital of hipsterdom. The development is set to cost $45 million and will be completed in mid-2014. CORRECTION: A previous version of this article stated that Madison Square Garden will have to relocate in the next 10 years. The matter has yet to be conclusively resolved. 1. People who hog the Starbucks condiment counter like they’re crafting a magical potion. 2. When the subway gets stuck underground. 3. Being forced to walk through Times Square. 4. How Duane Reade doesn’t do cash back. 5. Having to call Time Warner or National Grid for anything. 6. Having to use the phone at all. 10. Leaving your borough on the weekends. 11. Getting your bagel and realizing there’s only a THIN layer of cream cheese. 12. Waiting for the L train. 13. When people walk slow or stop in the middle of the sidewalk. 14. Unreasonably long lines at Shake Shack. 15. Using (and paying fees for) shady bodega ATMs. 18. When someone plays music on the train sans headphones. 19. Rent prices and moving costs. 20. Lack of central AC. 21. Taxi drivers who take the long way to your destination. 22. When there’s subway construction and you have to switch trains or take the local track. 23. And the Red Sox.